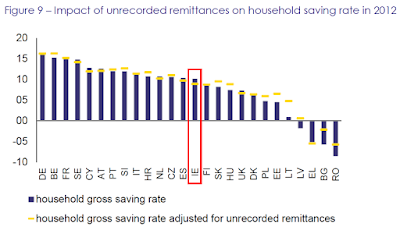 In a recent post, titled "Ireland: a land of un-remarkable savers", I covered EU Commission research on savings rates across different countries. One interesting finding in the report relates to the issue net remittances or transfers from the country to foreign destinations net of inflows of funds from abroad into the country. 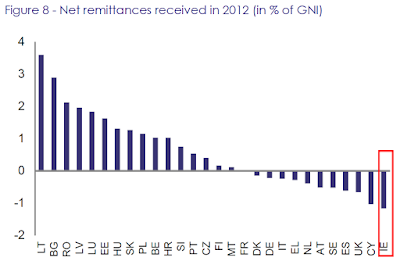 These figures cover household remittances, so no direct effect of FDI and other investment flows in them. 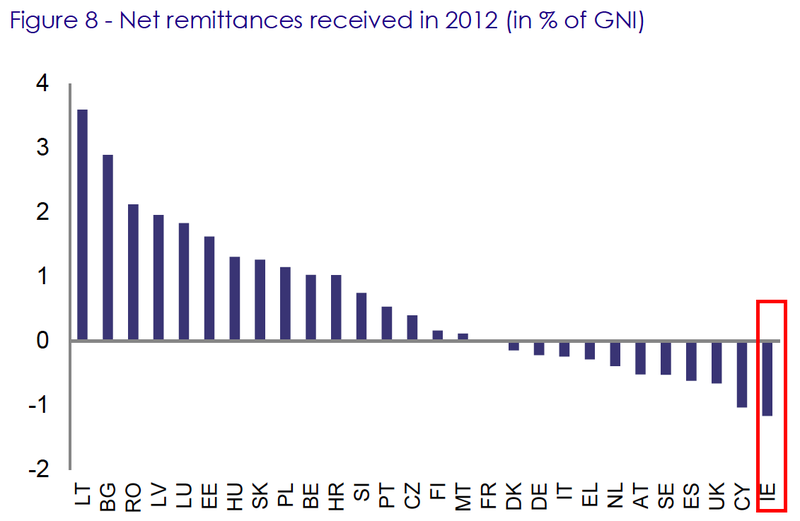 In absolute terms, Ireland leads the EU in terms of net remittances outflows abroad as percentage of the Gross National Income. Keep in mind - Cyprus was in an emergency funding situation from January 2012 on (when the country first received Russian emergency loans) and requested assistance from the EU in mid-2012, with actual bailout package agreed a year later. In other words, much of 2012 net outflows of household funds from Cyprus was probably down to relatively panicked situation in the country financial sector. Middle-aged families, who often left properties behind with outstanding mortgages that required regular remittances into Ireland to fund. 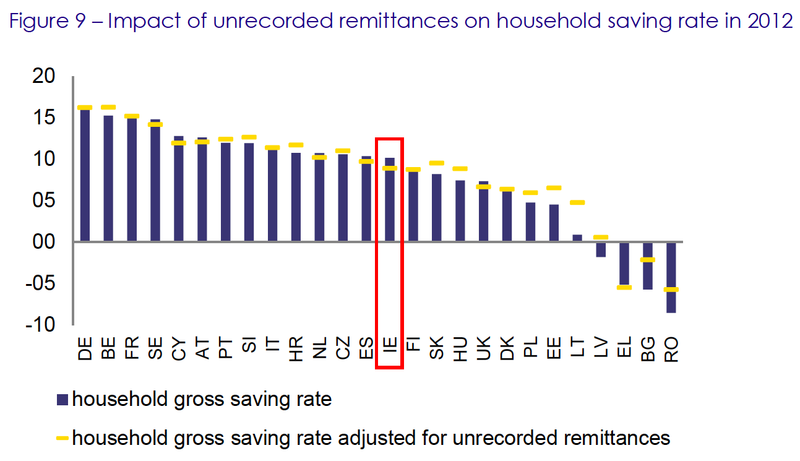 The key for Ireland's position at the bottom of the European remittances table is, most likely, foreign workers in Ireland sending their surplus earnings/savings abroad for the lack of interest in investing in Irish assets (property and financial assets). If so, we have a problem: Ireland attracts large numbers of highly skilled younger workers who come here to work in MNCs-led sectors, such as ICT and ICT services, as well as Financial services. These workers, judging by remittances outflows, have little anchoring in the Irish economy.